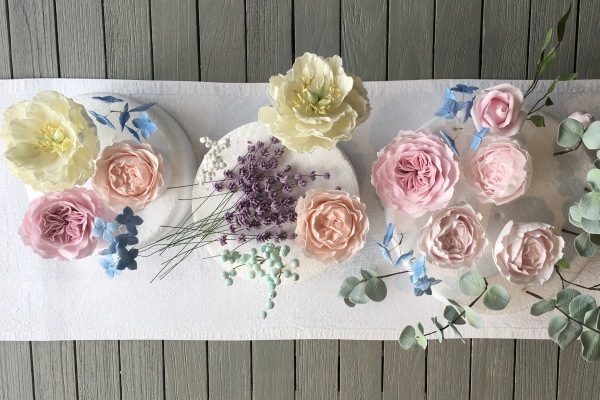 Growing up in Yorkshire with a mother who was the president of her local WI, cakes and baking were always going to be a significant pastime in Claire’s household. Sum up her style in a word? Passionate. 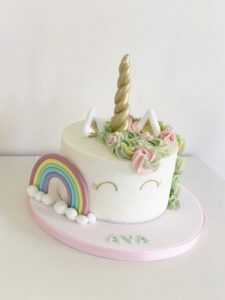 It all stems from fond memories sat on the kitchen side watching her mother create the masterpiece that was going to make her the envy of all her friends on her birthday. Basically, being bonkers about baking has grown in Claire her whole life. 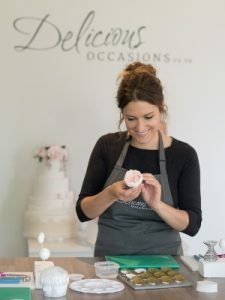 As an adult Claire always worked with food so, with that background, and her irrepressible love of design, the natural next step was to start up Delicious Occasions, creating handmade bespoke cakes for all occasions. Whether it’s your other half’s favourite car, or your kiddie’s favourite toy, she can magic up virtually anything you want for your celebration. These masterpieces are all about the personal touch and giving someone a cake you simply cannot buy from the shelf. Better still, she’s now running classes at her small and perfectly formed studio in Horsmonden, set in the beautiful Kent countryside with stunning views. It’s a really relaxed environment for people to go and learn a new cake skill. 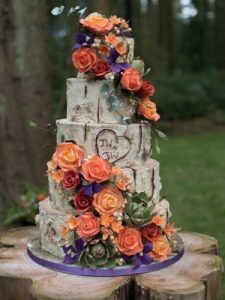 Her main passion and skill is in sugar flowers (have you seen this image, above? How clever/realistic/exquisite are those?) Claire promises that, no matter what your baking skills are, anybody can make them – they just need a patient tutor! So check out her upcoming courses if you want to learn an awesome new skill, and seriously impress your friends/family/other mums at the school gates!